There are hundreds of books written every year about leadership. They focus largely on big questions, and nearly all of them talk about the importance of creating a shared vision. I have no quarrel with most of what is written about leadership—my problem is with the element that too often is ignored. Visionary leadership is not enough. Effective leadership also must include the ability to implement a vision for change, which inevitably involves the less dramatic work of management and administration. I thought about this distinction between leadership and management last week as I read yet another article about the botched rollout of the website for the Affordable Care Act. The new law may be President Obama’s signature accomplishment, and it may reflect a great vision, but it is floundering partly because he paid inadequate attention to making it work. Based on newspaper accounts, it sounds like too many contractors were involved in developing the website and there was a lack of overall coordination and supervision. In other words, the implementation was managed poorly. How can that be possible? One reason may be that leadership is considered king in our country and management is viewed as its boring cousin. I once had a senior campus leader tell me that he saw himself as a leader, not as a manager or an administrator. The clear implication was that leadership is more important and somehow more deserving of our best efforts. That perspective is reflected everywhere in our country’s culture. It is important to recognize that leadership as traditionally conceived—creating a vision—is not nearly enough to get things done. Someone has to implement even the most inspiring vision, and that requires talented and creative administrators. Leaders must understand the importance of administration and know how to support, supervise, and evaluate administrators. 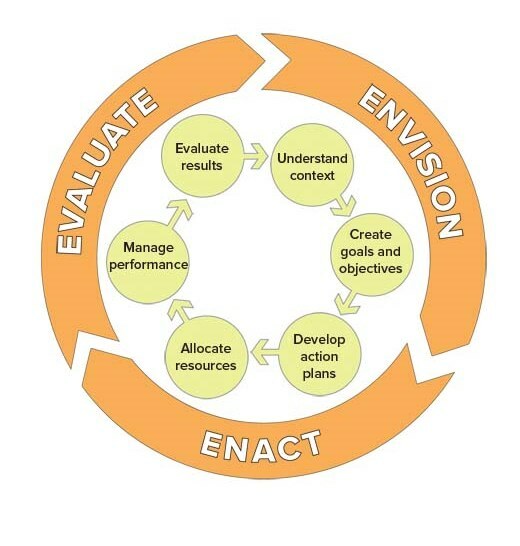 In the School’s teaching about strategic public leadership, we highlight the importance of developing action plans, allocating resources, managing performance, and evaluating results. In other words, we take a holistic view of leadership that includes much more than creating a vision. It is a false dichotomy to separate leadership from management, a lesson that President Obama may be learning the hard way. 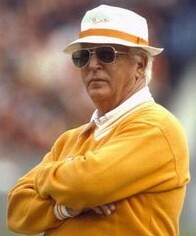 President Obama may feel like John McKay felt years ago as the football coach of the hapless NFL expansion Tampa Bay Buccaneers. After his team had lost yet another game, a reporter in a post-game press conference asked McKay what he thought about his team’s execution. His answer: “I’m all in favor of it.” President Obama may feel the same way about the team responsible for implementing the Affordable Care Act. In his case, however, it is hard to avoid concluding that he bears a large responsibility for not paying enough attention to the administration of the new law. In thinking about the School, we are fortunate to have staff members in all of our divisions who understand the fundamental importance of effective administration. Their efforts in managing our work requires great skill and creativity, and they do it very well. Our ideas for continuously improving how we serve North Carolina officials cannot implement themselves. Vision is not enough. Luckily, we have a talented professional staff that is dedicated to first-rate administration in advancing our mission. Hallelujah. That’s why I think the issue if capacity plays into it. That is an issue of management. Is it even possible to implement the policies that make the vision happen? In an article I read in the New Yorker about the NYU president, much of the discussion was about his vision and the cost of its implementation–unaffordable tuition, reliance on adjuncts for the majority of teaching, questions of whether the vision had taken the university away from its grounding entirely. You are so right about capacity, Maureen. One reason people complain about investing money in administration is because they don’t understand the need for administrators to implement policy. They want things to work well and they complain when they don’t, but they don’t see a connection between investing in the capacity needs to make things work. In some ways vision is the easy part. This makes me think of the upcoming PeopleSoft implementation for campus schedued for Oct. 2014. I hope this implementation will not be managed poorly. In the case of PeopleSoft, I’m positive that they understand the need to pay attention to implementation. That’s half the battle. I’m optimistic about this one. Excellent advice on all counts. This is excellent advice that I could not agree with more. Visionaries are all too important, but so are those that make visions happen. My common mantras are “what does success look like” and “the devil is in the details”.